Special Savings Special Needs: Found a great way to grab eBooks that I like when free! Yay! Found a great way to grab eBooks that I like when free! Yay! 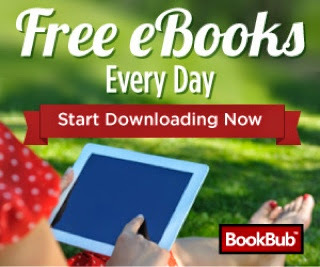 BookBub is a free daily email that notifies you about deep discounts on acclaimed ebooks. You choose the types you'd like to get notified about — with categories ranging from mysteries to cookbooks — and we send great deals in those genres to your inbox. BookBub doesn't actually sell books. We simply alert you by email to fantastic limited-time offers that become available on retailers like Amazon's Kindle store, Barnes & Noble's Nook store, Apple's iBookstore, and others. Book publishers offer deals at these sites for promotional purposes, and our staff works with them to determine the best ones to feature to our members. BookBub features ebooks ranging from top-tier publishers to critically acclaimed independent authors. Our team of experts makes sure that we're only featuring great deals on quality books that you'll love.